Where? Deep in the heart of Borough, a little south of Union Street, this passage links Red Cross Gardens to Ayre Street. What? The alleyway runs alongside a series of model dwelling cottages designed to improve the lot of local residents. 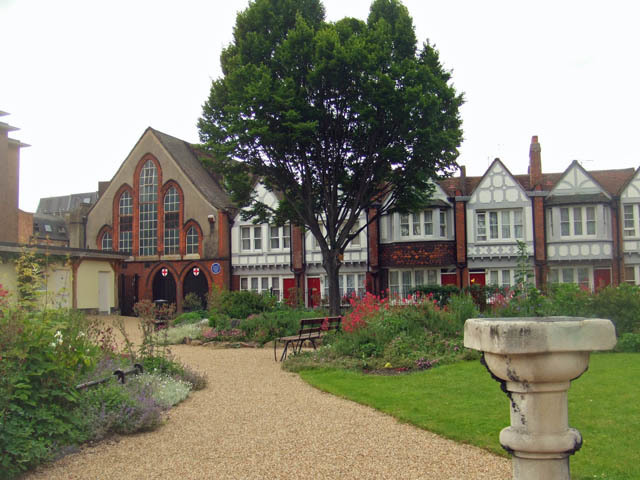 The cottages were built by uber-reformer Octavia Hill in 1887, who noted that much of Victorian Southwark was given to crime, pollution and poverty. Her solution was to build an 'open air sitting room for the tired inhabitants of Southwark', with model housing for a lucky few. The development contains six mock Tudor cottages and a community hall by Elijah Hoole, who also designed Whitechapel's Toynbee Hall. Today, they are owned by the Octavia Housing and Care association. The gardens were laid out on the site of a derelict paper factory. In his book Secret Bankside, Local character John Constable notes that it 'took weeks to clear the rotting paper and even longer for the smell of bonfires to disperse'. The finished product contained a bandstand, children's' play area and fountain, and was surrounded by colourful mosaics and raised walkways. Sadly, the garden fell into disrepair, losing its art work when a neighbouring warehouse was pulled down. Parts were tarmacked over in the 1950s and the rest became overgrown. Recently, the Bankside Open Spaces Trust secured half a million pounds in funding from the Heritage Lottery Fund to regenerate the gardens, and they reopened just two years ago. Red Cross Gardens are once again a tranquil and beautiful spot for the residents of Southwark and anyone else who seeks them out. Why use? 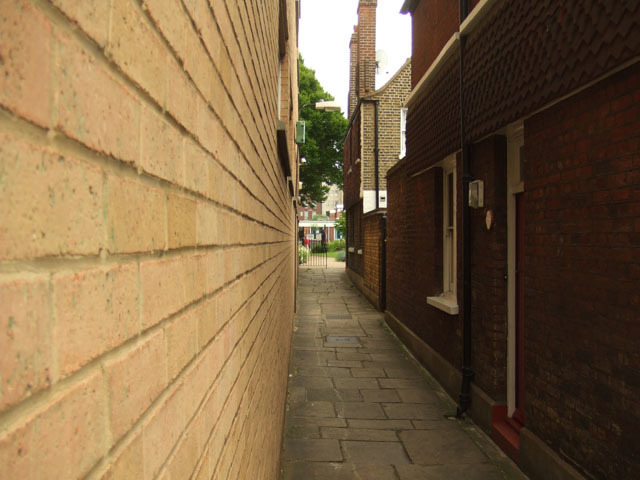 The passage has little merit in its own right, but when you're done with the gardens, follow it round into Ayres Street and thence on to Copperfield Street, and you can track down further examples of model dwellings from Octavia Hill and others. The area also boasts a greater density and propensity of Dickens references than any other. Look out for Dickens Square, Pickwick Street, Quilp Street, Little Dorritt Park and many more. Finish your explorations at the Charles Dickens pub on Union Street.